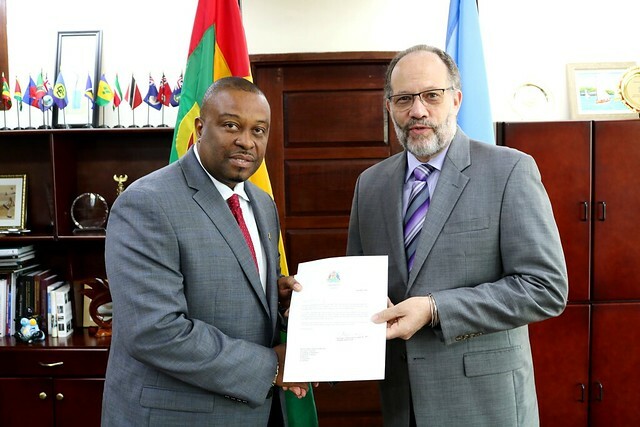 CARICOM has been an indispensable force in the development of the Region, the new envoy of Grenada to the Caribbean Community said Thursday, as he submitted his letter of credence to Ambassador Irwin LaRocque. During a brief ceremony at the CARICOM Secretariat headquarters, Georgetown, Guyana, Ambassador Arley Salimbi Gill assured the Secretary-General LaRocque that Grenada “will remain steadfast to the ideals” of regional integration and support the work of the CARICOM Secretariat. In welcoming Mr Gill to the CARICOM Committee of Ambassadors, Secretary-General LaRocque apprised him of his role in ensuring that integration has a greater impact on the lives of CARICOM people. “As a member you will be expected to assist in advancing the implementation of Community decisions at the national level… providing the necessary link between the regional and the national,” the Secretary-General stated. Secretary-General LaRocque applauded Grenada’s strong commitment to regional integration, exemplified, he stated, by Prime Minister Dr. Keith Mitchell’s dedication as Lead of Head of Government for Science and Technology in the CARICOM Quasi-Cabinet. Prime Minister Mitchell has also been an advocate for Statistics in the sustainable economic development of the Region, the SG noted. Mr Gill asserted that Grenada’s role and influence in CARICOM has been “distinct and unambiguous”, crystallised by the 1989 Declaration of the Grand Anse Work Programme of the Advancement of the Integration Movement that paved the way for the establishment of the CARICOM Single Market and Economy (CSME). He told the Secretary-General that the vision articulated by Heads of Government in 1989 was still relevant today, to which Grenada remained resolute. 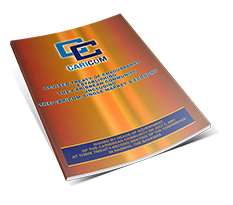 “In Grenada, we continue to see CARICOM as a channel through which Member States are bolstered in the regional and international community by the positions we take and have taken as a collective on matters of tremendous importance to our development,” the Grenadian envoy stated. He underscored the need for ordinary CARICOM citizens - the coconut vendor on the streets of Roseau, the doubles vendor in Port of Spain, the water taxi operators that ply their trade on Grand Anse beach – to feel the impact of the decisions made in trade, free movement, and climate change. “It is our duty to keep them informed and engaged in our deliberations and decision making, so that they do not feel marginalised by an institution which was established in the first place to benefit them.” Mr Gill said.